At Adrian Harris Woodcraft, we craft quality timber windows and doors from our Christchurch workshop in Sockburn. 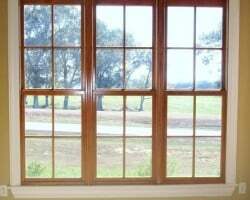 There are no limitations on design configuration, size, quantity, glazing, profiles of wood windows. Built to last by our Master Joiners, using quality componentry and fittings. Whether it’s timber windows and frames for a brand new home or extension, or a kitchen renovation needing bifolds or replacement of existing wooden windows, we can customise your timber windows to match architect's specifications or your home or building design. From simple wooden windows through to complex designer windows, at Adrian Harris Woodcraft, we can provide an innovative solution to your window design needs. Working in timbers suitable for the situation - typically cedar or kwila - we will create bi fold wood windows, single or double hung wood windows, round or curved wooden windows or sliding windows of the highest quality and crafted in the style and shape you are after. Wood windows are generally supplied in bare timber already glazed. Our wooden windows are made from superb quality timbers and exotic hardwoods with fine and stable grain structure that ensure years of reliable window operation. You can stain, oil or paint your wood windows to bring out their warm earthy tones to suit your décor. 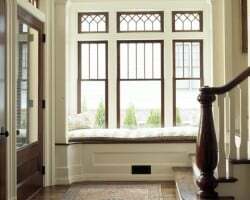 Timber windows will complement most architectural styles from traditional colonial through to modern contemporary. We can ship to any location throughout New Zealand. See also Adrian Harris Woodcraft wooden doors, find out about us, or contact us today to discuss your timber window and door requirements.